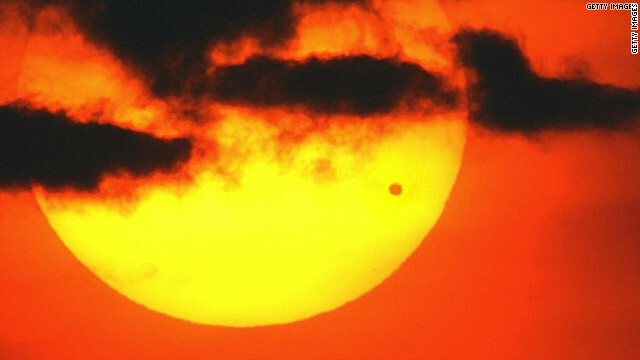 On Tuesday, June 5 (as seen from the Eastern hemisphere), Venus will cross the face of the sun. The transit will take about seven hours and begin at 6:09 p.m. ET. It’s not likely to happen again in your lifetime; the next transit will be in the year 2117. Please don't stare directly into the sun - you could damage your eyes. But there are safe ways to capture some good photos of the Venus transit.Space.com has these tips for safely photographing the event. Share your photos with us and they might appear on CNN.